In this article, we will show you how to install an SSL certificate on Apache. You will also learn how to generate a CSR code on Apache – a necessary step for your SSL certificate activation. In part three you will discover a few interesting facts about the Apache server, while in the final section of this article, we will give you useful tips on where to buy the best SSL certificate for your Apache server. How to generate a CSR code on Apache? 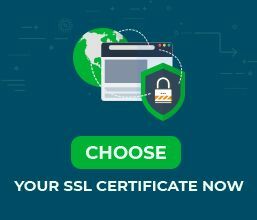 Where to buy an SSL Certificate for Apache? Note: Next attributes are optional. If you don’t want to fill them in input a dot (.) to leave them blank. 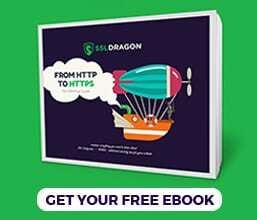 Open the yourdomain.csr file with a text editor of your choice, and copy-paste its content including the —–BEGIN CERTIFICATE REQUEST—– and footer —–END CERTIFICATE REQUEST—– tags during your order process with SSL Dragon. After the Certificate Authority signs and sends you the SSL Certificate, you can safely install it on your Apache server. The example above is for Comodo PositiveSSL certificate. Note: If your Apache server is running on Ubuntu OS, please follow these installation instructions instead. If something goes wrong, or Apache fails to restart, don’t panic! Remember, you created a backup configuration file in step 3. All you have to do is delete the modified configuration file, revert to your backup and repeat the installation process. If the installation was successful, congratulations! Your website is now secure. After you install an SSL certificate on Apache, you can use one of these excellent SSL tools to check the status of your installation. The instant scans will discover any potential errors and vulnerabilities that may affect the certificate performance. The Apache HTTP Server or simply Apache is one of the most popular free and open source cross-platform web servers, hosting around 40% of all active websites. The original author of Apache is Robert McCool, a software developer, and architect. McCool initially built the NCSA HTTPd web server which later became the Apache server. Over the years, people behind Apache have offered several explanations for the origin of the Apache name. In 1995, the official documentation stated that Apache was a pun on “A PAtCHy” server. Since Apache was built on a series of patches, this clarification made sense. However, since 2013, the Apache Foundation has attributed a different meaning to the name. According to them, the name “Apache” is a tribute to the various Native American nations, referred to as Apache. Version 2.4 – released on February 21, 2012. To help you choose the perfect SSL certificate, we developed two exclusive SSL tools. Our SSL Wizard needs just a couple of seconds to find the best SSL deal for your website. On the other hand, the Advanced Certificate Filter lets you sort and compare various SSL certificates by price, validation, and features.